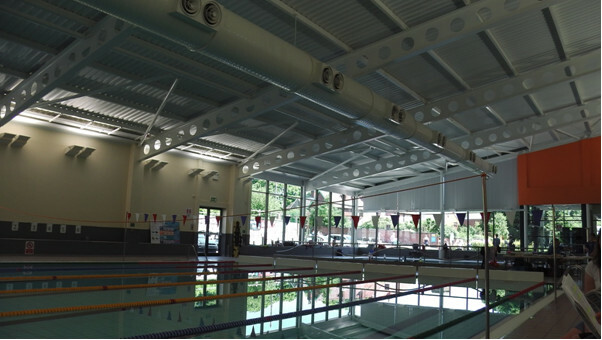 On the evening of Saturday 11th March, a confident group of Portland swimmers made their way to Alfreton Leisure Centre. It would prove to be a very successful evening indeed! Of the thirty one individual swims, there were nine New Times and twelve Personal Best’s. This means twenty one of the thirty one swims were the fastest yet recorded for these swimmers. Absolutely fantastic and it shows our training sessions are paying off. Coleby, Harry, Amy, Taka and Saki all swam strongly for club and gained new times in their events. Indeed, Saki and Taka came 2nd in all their events. Ethan in the 50m free obtained a new PB, shaving 16 seconds off his previous time!!! His sister, Amy, the youngest girl in the club, swam an impressive six races and made it look effortless. Well done Amy!!! Lucian obtained PB’S in 50m Backstroke, Breaststroke and Freestyle as well as swimming strong legs in his relays. These times are especially impressive as he had to swim up age group. Beatrice swam Open Breaststroke and Freestyle where she came third and first respectively (within County Time). She also swam Open Freestyle Relay with Angelina, Briony and Freya and 14/u Freestyle relay with Coleby, Freya and Angelina. Both relays obtained 1st place. Well done girls!!! Matilda swam 50m Breaststroke, came second and shaved 4 seconds off her previous time. She also swam 50m Freestyle and again obtained a PB, shaving 3 seconds off her old time. Mai won her 50m Fly and gained a new PB as well and not too far off a County Time. Efan swam strongly in his 50m Fly against a tough field and in his relays. Angelina came third in her 50m Fly, gained a new PB by nearly 3 seconds and helped her team mates win their relays. Special thanks to Bea for lending her a new hat!! Harrison, as usual gave his all in his 50m Breaststroke and his relays. Fantastic swims. Briony, alongside relays, swam 50m Breaststroke and 50m Backstroke. Very strong swims on the night and a new PB in the breaststroke. Edward swam in relays and in 50m Backstroke, 50m Breaststroke and 50m Freestyle. He swam all within County Times and came first in the breaststroke and Freestyle! Freya swam both Open Fly and Backstroke with super technique as well as on winning relay teams. Judd swam close to his PB in 50m Backstroke (and indeed close to County Time) and was a strong swimmer in his relays. Lucy also swam close to her PB in 50m Backstroke and swam very competitively in her relay legs. Finally, Matt swam in a number of relay teams and in Open 50m Fly, where he came first and swam within County Time!!! A super night of swimming and a huge thank you to all the swimmers and volunteers. Log into Swimmers’ Corner for the times.